When it comes to buying new technology, it pays to be quick - a lesson fans of Mozilla's open-source Firefox OS were taught over the weekend. 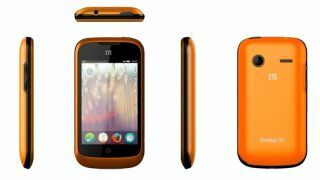 The Telegraph reported this week that Chinese manufacturer ZTE sold out the first production run of its highly anticipated Open, one of the first smartphones powered by Firefox OS. After debuting in eBay stores in both the U.S. and U.K. last Friday, ZTE managed to sell out of the unlocked handsets by Monday, leaving Mozilla fans empty-handed until the manufacturer can restock its virtual shelves. Featuring a 3.5-inch screen with 1GHz processor, 3.2MP rear camera and 512MB of internal storage, the ZTE Open isn't exactly a smartphone powerhouse - but for only $79.99 (UK£59.99, about AU$88.63), it doesn't have to be. There's no mistaking the ZTE Open, which features a bright orange back and Firefox OS, a version of Mozilla's open-source web browser reworked into a smartphone operating system. Launched earlier this summer in Spain, Venezuela and Columbia on the Telefonica network, the ZTE Open marked the first time U.S. and U.K. citizens alike could get their hands on the distinctive handset through retail channels. The web-based Firefox OS harkens back to the days of Palm's ill-fated webOS, which has ironically also found a home in the open-source community after buyer HP failed to gain any traction in the market against iOS and Android. However, unlike webOS Firefox OS doesn't require downloading and installing the type of apps made popular by Apple and Google, since the entire platform is essentially a glorified web browser. Be sure to check out our full review of Google's new Chromecast!